THE HEADLIGHT IS IN GOOD CONDITION. LEFT HAND DRIVER SIDE HALOGEN HEADLIGHT LAMP. WORKS PERFECT. 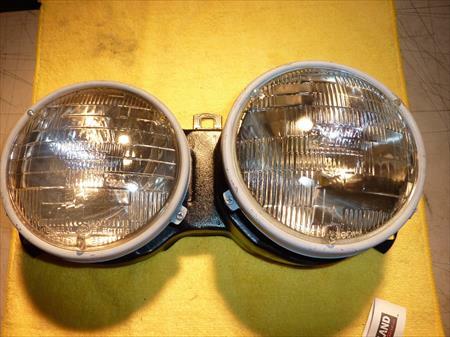 THIS HEADLIGHT IS ORIGINAL FACTORY PARTS. NO CRACKS, WATER, MOISTER OR ANY DAMAGE. PLEASE CHECK OUT OUR OTHER LISTINGS. Condition :EXCELLENT. %100 Factory Original OEM Insurance quality Excellent for insurance companies Fully functional. 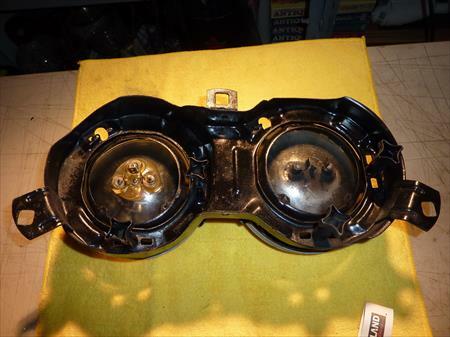 Internal parts are intact Housing & all mounting tabs are good Lens surface is clean & clear. 1993	BMW	325i	Base Convertible 2-Door	All 1992	BMW	318i	Base Convertible 2-Door	All 1992	BMW	325i	Base Convertible 2-Door	All 1991	BMW	318i	Base Convertible 2-Door	All 1991	BMW	318i	Base Sedan 4-Door	All 1991	BMW	318is	Base Coupe 2-Door	All 1991	BMW	325i	Base Convertible 2-Door	All 1991	BMW	325i	Base Sedan 4-Door	All 1991	BMW	325is	Base Coupe 2-Door	All 1991	BMW	325iX	Base Coupe 2-Door	All 1991	BMW	325iX	Base Sedan 4-Door	All 1991	BMW	M3	Base Coupe 2-Door	All 1990	BMW	325i	Base Convertible 2-Door	All 1990	BMW	325i	Base Sedan 4-Door	All 1990	BMW	325is	Base Coupe 2-Door	All 1990	BMW	325iX	Base Coupe 2-Door	All 1990	BMW	325iX	Base Sedan 4-Door	All 1990	BMW	M3	Base Coupe 2-Door	All 1989	BMW	325i	Base Convertible 2-Door	All 1989	BMW	325i	Base Sedan 4-Door 1989	BMW	325is	Base Coupe 2-Door	All 1989	BMW	325iX	Base Coupe 2-Door	All 1989	BMW	325iX	Base Sedan 4-Door	All 1989	BMW	M3	Base Coupe 2-Door	All 1987	BMW	325e	Base Coupe 2-Door	All 1987	BMW	325e	Base Sedan 4-Door	All 1987	BMW	325i	Base Convertible 2-Door	All 1987	BMW	325i	Base Sedan 4-Door	All 1987	BMW	325is	Base Coupe 2-Door	All 1986	BMW	325e	Base Coupe 2-Door	All 1986	BMW	325e	Base Sedan 4-Door	All 1985	BMW	318i	Base Coupe 2-Door	All 1985	BMW	318i	Base Sedan 4-Door	All 1985	BMW	325e	Base Coupe 2-Door	All 1985	BMW	325e	Base Sedan 4-Door	All 1984	BMW	318i	Base Coupe 2-Door	All 1984	BMW	325e	Base Coupe 2-Door Shipping : We ship ground to the lower 48 states in USA. Local pick up Welcome. International shipping. Please contact us before you check out, we will be very glad to provide you the exact shipping rate for your item*** We ship out the item 1 business days after we have received a cleared PayPal payment with a confirmed address. THANK YOU FOR LOOKING !!! 1984-1992 BMW 3 SERIES E30 318I, 325I, 325IS, 325IX, M3.